These 1955-1956-1957 Chevrolet Bel Air to Impala Super Sport Conversion Bucket Seat Tracks are a custom fit part. 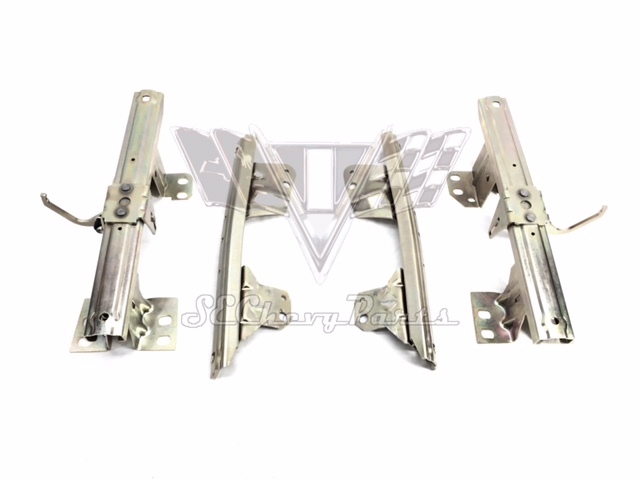 This four piece seat slider set allows you to install 1962-1963-1964 Impala SS Bucket Seats into your TriFive. 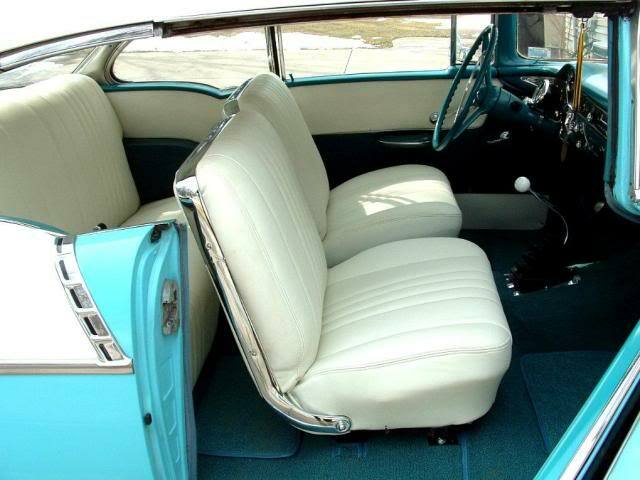 The tracks are modified to specifically mount an Impala SS bucket seat to the floor of any 1955-1957 Chevy (these are not your normal bucket seat tracks). For those who don't like the modern bucket seats but want something more vintage, this is the perfect fit. Don't forget to get the modified floor bracket (Part #CL-07-001) as well to complete the easy installation. 1955-1956 floor to top of springs on seat base is 12"
"They bolted right up to their conversion brackets. A no brainer, quick and easy. I like these tracks "